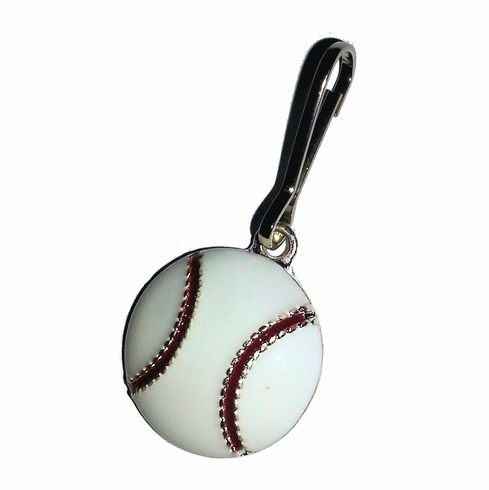 These white epoxy baseball charm zipper pulls will make it easy to show everyone how much you love baseball. Charm measures appx. 11/16" in diameter. No lead, no nickel.